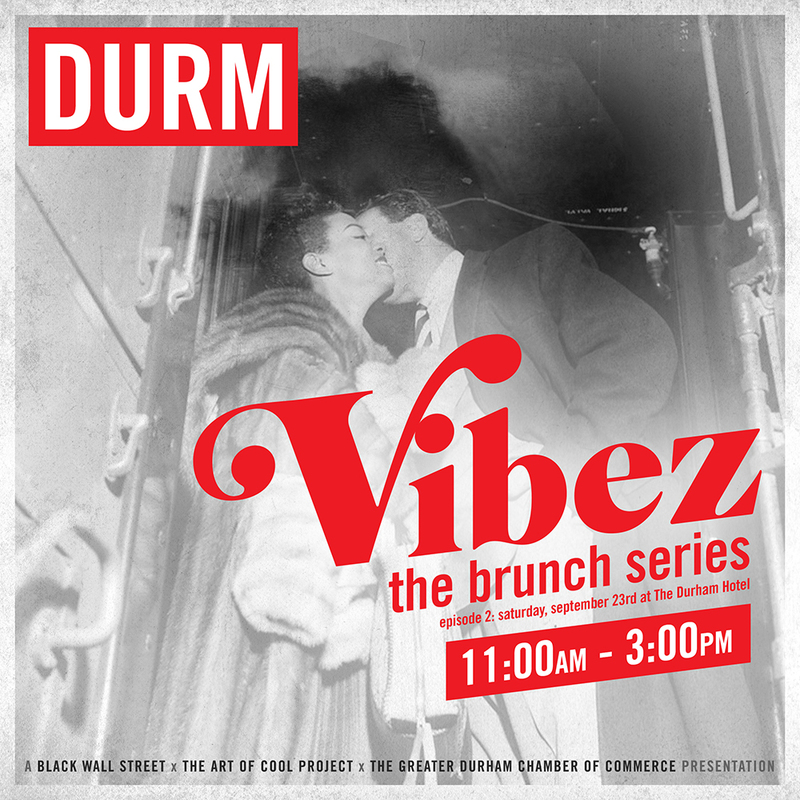 Vibez: a networking brunch series presented by Art of Cool & Black Wall St.
Art of Cool and Black Wall Street team up for Vibez, a brunch series in the restaurant that’s part networking and business development, part dance party. Reserve your table for brunch in the restaurant 11am-2pm & start the party with punch bowls, Durham bloody marys, mimosas, and Counter Culture Coffee from the bar. Order brunch items like hangtown fry, pecan french toast, and grass-fed steak & eggs while DJ Mic Check spins 90s Hip-Hop and R&B. At noon, the roof will open for cocktails, mingling, snacks, and sounds from DJ Forge. Brunch in the restaurant includes access to Office Hours powered by The Greater Durham Chamber of Commerce. Business leaders will be available for one on one advice & networking in the 2nd floor mezzanine. More details here. Enter your information below or call 919-768-8831 to reserve your table for brunch or stop in the restaurant or the roof to network and have a drink.